Energy Efficiency: KhPI Continues Cooperation with the Czech Republic – National Technical University "Kharkiv Polytechnic Institute"
Honorable doctor of NTU “KhPI” Jiří Jaromír Klemeš, professor of Brno University of Technology and the head of Sustainable Process Integration Laboratory (SPIL) paid a visit to NTU “KhPI”. 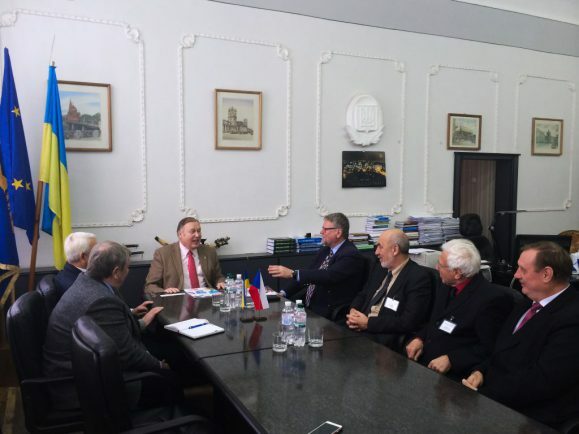 The purpose of the visit — to conduct negotiations with the management of KhPI in order to promote cooperation, participation in the International Hands-on Research Conference held by the University “Integrated Technologies and Energy Conservation”. 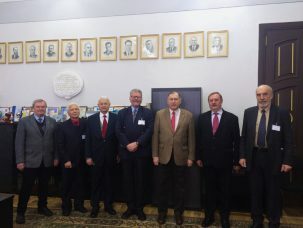 Program of visit (November 26-29) included the meeting with Yevgen Sokol, rector of KhPI, attendance at the Department of Integrated Technologies, Processes and Apparatuses of the University and participation in the International Research Hands-on Conference “Integrated Technologies and Energy Conservation” held by the University. 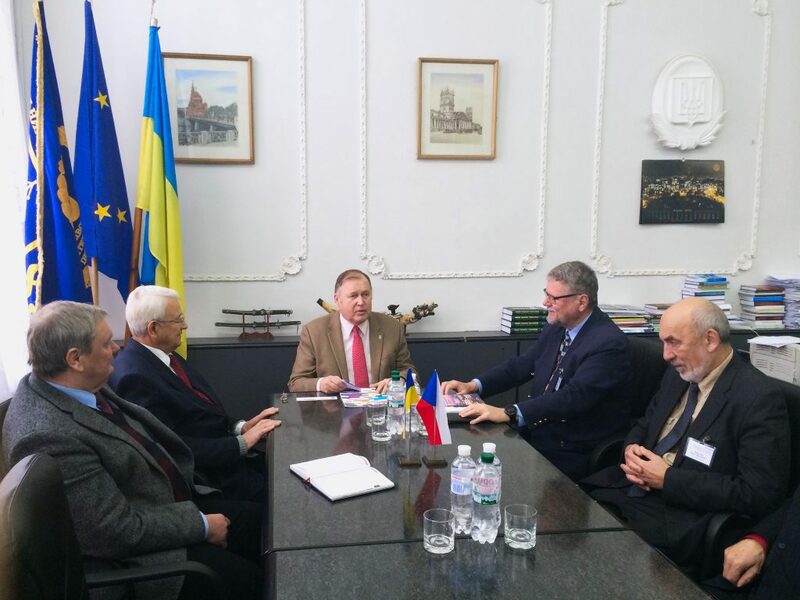 The participants of the meeting held by Prof. Yevgen Sokol, rector of NTU “KhPI” were the representatives of the Department of Integrated Technologies, Processes and Apparatuses of KhPI, Prof. Leonid Tovazhniansky, honorable rector of the University, Prof. Petro Kapustenko, Prof. Jiří Jaromír Klemeš from Brno University of Technology and the colleagues from the National University “Lviv’s Polytechnic”. The main subject of discussion was the need for the implementation of energy efficient technologies. Yevgen Sokol said: “Today, it is clear to everyone that energy efficient technologies should be implemented. It is of importance to promote these processes not only at the scientific level but at the governmental level as well, i.e. the government must pursue steady supportive policy. 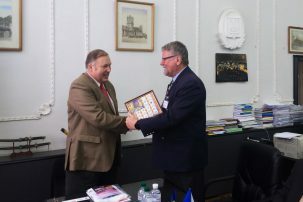 Prof. Leonid Tovazhniansky stressed that Jiří Jaromír Klemeš would be a participant in the Integrated Technologies and Energy Conservation Conference not for the first time and he was also the co-author of scientific papers published in different scientific journals and he cooperated with KhPI on different international projects. Jiří Jaromír Klemeš also took part in annual International Hands-On Research Conference “Integrated Technologies and Energy Conservation” that was held at NTU “KhPI”. Consideration was given to the reports highlighting the issues of power engineering, energy conservation, resource saving, thermal physics of high temperature processes, power plant equipment and electric power transmission, including other interfacial issues relating to different knowledge branches. Sustainable Process Integration Laboratory (SPIL) is the part of NETME Center at the Department for Mechanical Engineering of Czech University. The Project was launched on February 1, 2017 and it will be lasting for five years managed by Prof. Jiří Jaromír Klemeš at Brno University of Technology. The purpose of the Project is to contribute to the international competitive research to get the results that could be used for and contribute to the solution of the problems in the power engineering branch. Brno University of Technology (Czech Republic) is one of the oldest institutions in this city. It was set up in 1899 and today it gives training in many classic technical and natural-science specialties, including the specialties relating to the architecture and art and multidisciplinary programs at the intersection of engineering and natural- science disciplines, economics, and public health. It is on the list of the best universities of the world (QS World University Rankings).